It's almost May, and that means horror is on the way once again. 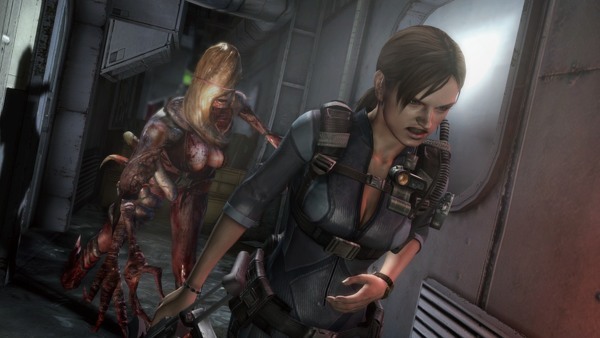 The revamped and improved version of the 3DS game Resident Evil: Revelations will be coming out later next month for all major consoles and PC. Like the 3DS original that came out some time ago, this version of Revelations will also come with a playable demo. In the demo, you will assume the role of Jill Valentine as she is tasked with infiltrating the cruise ship "Queen Zenobia" in order to save her fellow BSAA members Chris Redfield and Jessica Sherawat. Sound familiar? While it is not confirmed, it appears that the demo may be similar if not identical to the 3DS one. We will reveal more information on Revelations as the release date of May 24'th approaches. The demo does not have a set release date as of now, only a promise that it is "coming soon." Page created in 0.3319 seconds.